The Honda Customer Mobility Assistance Program is proud to support the mobility needs of drivers and passengers with physical disabilities. Honda will provide a reimbursement of up to $1,000 to each eligible, original retail customer for expenses incurred to purchase and install qualifying adaptive vehicle equipment on any eligible purchased or leased Honda vehicle. 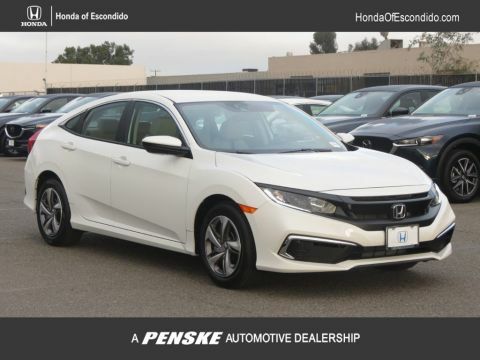 - For well-qualified customers who meet Honda Graduate Program criteria, subject to approval by Honda Financial Services (HFS - This offer must be redeemed towards capitalized cost reduction or down payment assistance. - Bonus offer applies toward any new 2018 or newer model year Honda when financed or leased through HFS. Only offered at participating dealerships. - Only one College Graduate Bonus offer per vehicle. - Cannot be combined with Zero Due at Signing Lease program. - Offer not valid on Honda Certified Pre-Owned Vehicles or used Honda vehicles. - Verifiable proof of employment or firm commitment from an employer required. - Must have graduated in the past two years or will graduate in the next six months. - Must provide copy of Diploma or college transcripts with proof of graduation eligibility. $295.85 per month for 24 months. $1,522.44 due at lease signing. Excludes registration, tax, title and license. Special APR available to qualified buyers through Honda Financial Services. $273.60 per month for 27 months. $1,564.73 due at lease signing. Excludes registration, tax, title and license. $261.05 per month for 30 months. $1,649.31 due at lease signing. Excludes registration, tax, title and license. $250.66 per month for 33 months. $1,733.89 due at lease signing. Excludes registration, tax, title and license. $241.90 per month for 36 months. $1,818.47 due at lease signing. Excludes registration, tax, title and license.